This list and map of all the coworking spaces in South Wales originally started out as a side-project for Computer Recruiter (my parents’ IT recruitment agency) back in January 2015. However, when the company shut shop in late 2018 due to my parents retiring, I decided to continue to maintain and update it myself. Below is (most of) the original text, carried across from cr25.uk to here, its new home. * Important note! * Please enquire and look into an individual coworking space before you plan your visit. Please understand that exact coworking space locations may not be 100% accurate (I’m pretty confident that they are – or that they’re close, for those that I’ve not visited personally), and that this map may not be 100% up-to-date (e.g. if a space closes and we do not manage to update it straight away). Thanks! Have I missed any? If so, please let me know by tweeting me or via my contact form and I will add them in! The Arcade Vaults is in the upstairs of High Street Arcade in Cardiff city centre. It has a focus on the games industry, although they’re more than happy to accept individuals from other industries. They provide all the usual amenities (good WiFi, a kitchenette with tea, coffee and microwave), plus they have grand plans, including setting up an incubator space. 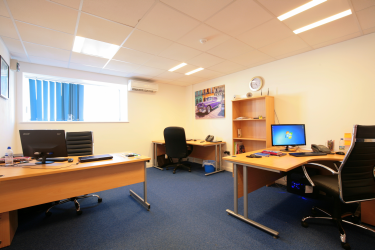 In addition to individual office units, The Business Centre in Barry offers coworking and shared office space. 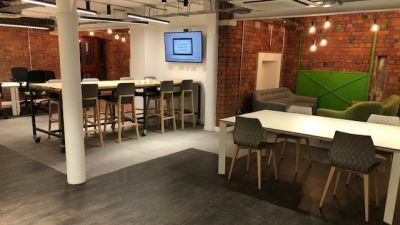 A flexible working environment with high speed internet access, telephony services and a permanent base for the single users (furniture included). 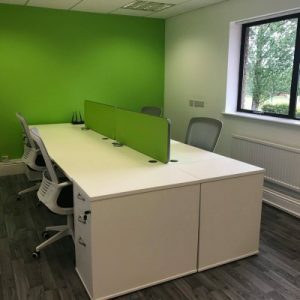 The facilities have been designed to provide a permanent office accommodation within a shared working environment but with all the benefits of a fully serviced office suite, particularly intended for startups, single operators and homeworkers. 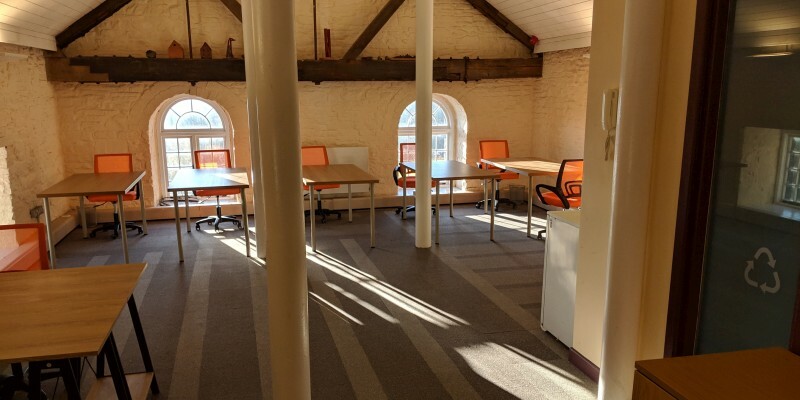 Based in Bridgend, The Business Springboard Centre offers coworking, meeting room hire and office space in what looks to be a gorgeous and prestigious building. 5 mins from J36 of the M4, they have fast Internet, tons of parking and good transport links. Based in Brunel House on Fitzalan Road, Cardiff Eagle Lab is a new space (as of 2018) by Barclays, in partnership with Legal & General. In addition to coworking and office space, they offer support services, access to mentors and funding opportunities, plus they have a great maker space, complete with 3D printers, laser cutter and vinyl cutter. 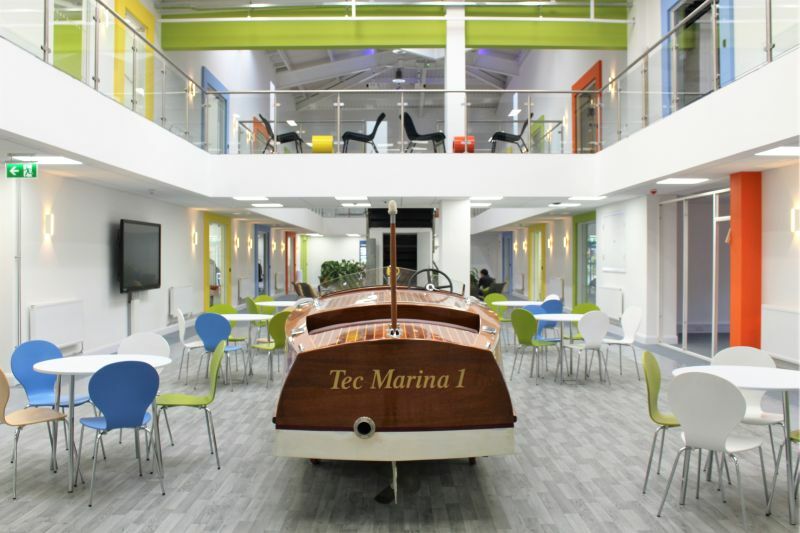 In early 2015 Chwarae Teg started to offer a women-only coworking space from within their offices by the Magic Roundabout in Cardiff, which is about a 15-ish-minute walk out of the city centre. Coworkers get office space in their Incubator Room with a shared desk and cupboard space, plus there’s lots of other perks including access to meeting rooms, free parking, first refusal of free events held at Anchor Court, and ad hoc support available such as basic bookkeeping/payroll/HR services and business finance advice. 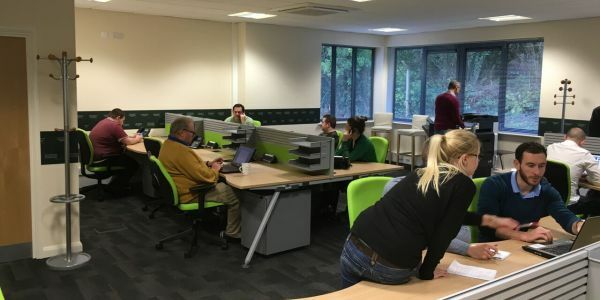 Launched in February 2016, Hwyl Hub is a coworking space and community based in the centre of Merthyr Tydfil, to the north of the Valleys along the A470. It’s been established as a CIC (a community interest company) and was even developed as a collective effort from its members – e.g. tables were made, sofas were borrowed, etc. I’ve spoken to the guys who run it and it sounds as though they’re very serious in their efforts to help their local community – one of the most struggling areas in South Wales economically – which is great to see. indycube is perhaps South Wales’ most well-known coworking provider, simply because they have multiple locations: they have multiple spaces in Cardiff as well as spaces in Abertillery, Bridgend, Carmarthen, Chepstow, Cwmbran, Ferndale (RCT), Garndiffaith (north of Pontypool), Haverfordwest, Milford Haven, Narberth (Pembrokeshire), Newport, Pembroke Dock, Pontypridd, Porth, St Davids, Swansea and Treharris. Whew! You can also get a free day pass simply about enquiring about a desk for the day. 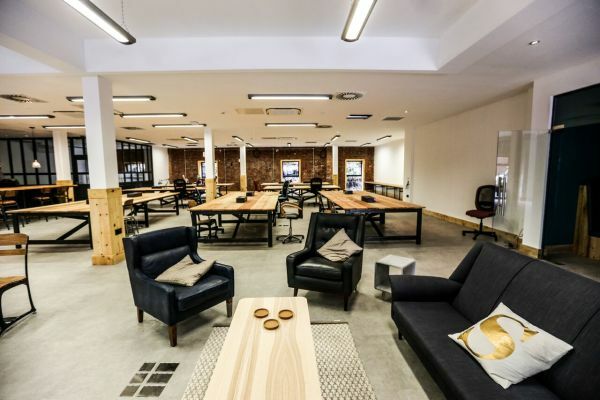 The Maltings is a beautiful building that offers office space and commercial document storage – and it’s just launched a coworking space as part of the company’s Space2B offering. Benefits for monthly members include on-site parking, an on-site café and a complimentary shuttle bus to and from the city centre. Based on Bute Street in Cardiff Bay, the workspace area of Morgan Studios comfortably accommodates up to 6 people, whether working individually or as a company/group. The rent ranges depending on occupancy and covers everything (including WiFi, etc.). It’s been home to creatives and digital media types in the past, so probably a good fit for someone doing that type of work. 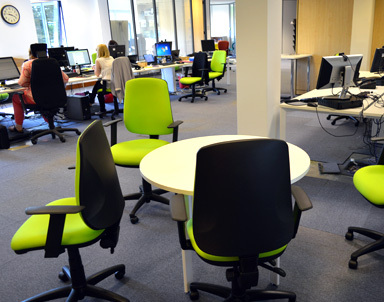 Pembroke House in Cwmbran has 6 desks available at £100 per month. 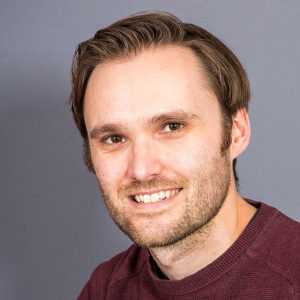 A few serious startups are based in the building or started off there – including DashHound – so if you live in or near the area then it might be worth a look. 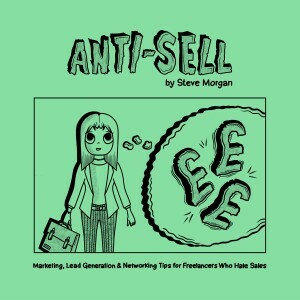 This Facebook post gives a lot of info about what they offer altogether. 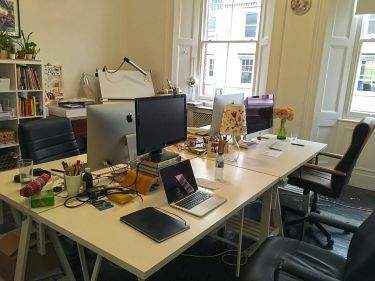 A dedicated coworking space for the creatives of Cardiff: designers, developers, photographers, film makers, writers, illustrators, creative producers, art directors, architects, makers – anyone who works in a creative field. There is also the Lounge (a smaller room with sofas, etc.) which can be hired as a workshop space. There’s only 16+ work stations, so availability is limited. Knowing Dan (the founder) personally, it’s a very exciting working environment if you tick the creative box. Claiming to be “not just a coworking/hotdesking environment,” Sovereign Connect’s membership offers virtual office facilities, networking groups, a private social media group, training workshops, and great spaces for both formal and informal meetings. 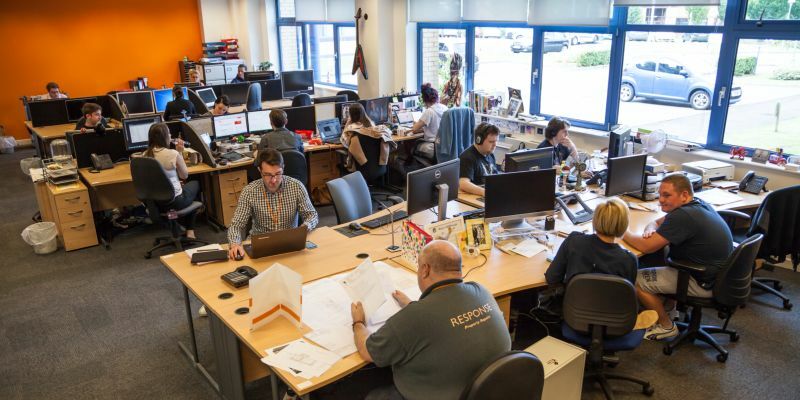 They advertise themselves as an ‘executive’ space yet offer really reasonable monthly rates, with their meeting room hire and virtual office facilities available as add-ons on top. Sounds like a great space in the area, which is also not far from J34 of the M4, outside Cardiff to the north-west. 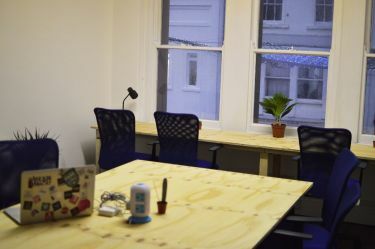 Based a few minutes walk from Cardiff Central train station, The Sustainable Studio is a coworking space aimed at more of the ‘maker’ and creative crowd. Members include a photographer, a ceramic artist, a fashion label and a manufacturer of male grooming products, to give you an idea of who/what is there. 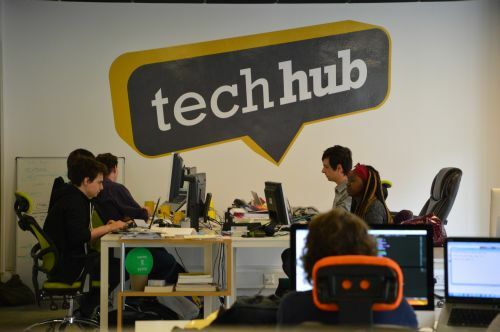 While I’ve not tried TechHub Swansea personally, I’ve heard good things. They moved spaces a while back and their new building has a dedicated event space and a tech café. Whereas they previously only offered full-time membership, they now offer day memberships. Cross the bridge west of Cardiff Central station and you’ll find Tramshed, a live music venue… and now, as part of the same building, there’s also a coworking space! Focusing on technology and creative industry startups especially, Tramshed Tech offers support, exclusive events and training to its members, through different packages (lounge, part-time, full-time or designated), depending on your needs. 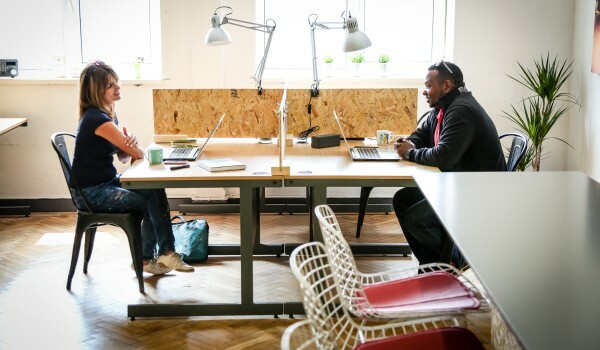 The Village Hotel in Cardiff has always been a great location for business meetings, what with its great location (just off the motorway), so it’s great to see that they now provide coworking services via its BCLUB offering. It’s got the works: four private meeting spaces, fast WiFi, free parking, free refreshments and even free photocopying and printing. 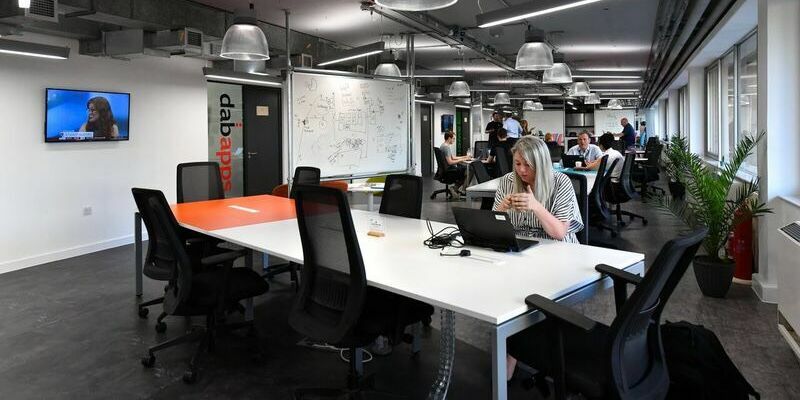 Welsh ICE (Innovation Centre for Enterprise) is intended more as a permanent solution, similar to TechHub Swansea but unlike the drop-in-for-the-day setup you get with indycube. The great thing about ICE is that you can ‘scale up’ easily: for example, if you hire staff and outgrow the coworking space area, you can move into your own room. 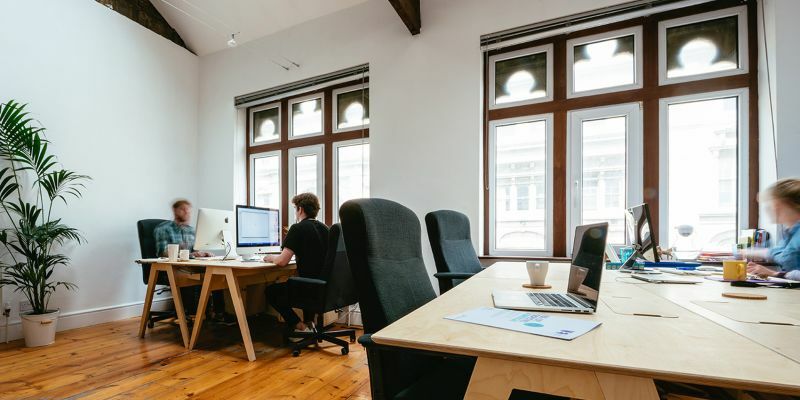 I’ve heard stories of people changing their address every 6-12 months because they keep needing to increase their office space, so at least you can do it comfortably without the change of address hassles. And while Caerphilly isn’t Cardiff per se, it’s literally only a few minutes’ drive out of the city. 02/05/2015 – Removed FoundersHub (which sadly closed its doors in late April/early May 2015 – more info) and added new indycube locations, including Ferndale, Pembroke Dock and Pontypridd. 08/05/2015 – Additional minor tweaks. 21/07/2015 – Added The Creative Common. 04/09/2015 – Added more indycube locations (Life Sciences Hub in Cardiff, Carmarthen and Bridgend) and removed some old ones (Castle Arcade in Cardiff, Atlantic Wharf in Cardiff, Ebbw Vale and Tondu), as well as adding more info to indycube along with images. 23/09/2015 – Image change for Welsh ICE. 15/10/2015 – Added Xibo Hub and tweaked some of the info for Welsh ICE. 08/02/2016 – Added indycube Tredegar & Cardiff (Fab Lab). Removed the details for The Creative Common and Xibo Hub – as they’ve both been taken over by indycube – and changed their pins to blue on the Google Map. 15/02/2016 – Added Chwarae Teg. 16/02/2016 – Added Chwarae Teg’s page link and a photo. 19/02/2016 – Added Hwyl Hub. 05/04/2016 – Added TecMarina and added info and a photo to Hwyl Hub. 25/05/2016 – Changed TechHub Swansea and indycube Swansea’s locations on the map, as they’d both changed address. 07/06/2016 – Added Sovereign Connect. 09/07/2016 – Added Rabble Studio. 11/07/2016 – Added indycube Porth, St Davids, Cardiff (The Docks), Chepstow, Treharris & Milford Haven. Removed indycube Cardiff (Life Sciences Hub) & Llandovery, as they have since closed. 13/07/2016 – Added The Business Centre. 21/08/2016 – Added a new photo for TecMarina. 23/08/2016 – Added Tramshed Tech. 31/08/2016 – Added Meahwhile House Cardiff (a.k.a. Meanwhile Creative). 28/09/2016 – Changed photos for TecMarina. 24/03/2017 – Changed details for TechHub Swansea. 26/05/2017 – Changed details for Rabble Studio. 21/06/2017 – Changed Hwyl Hub’s location on the map, as they’d changed address. 08/08/2017 – Added Pembroke House and The Sustainable Studio. 09/08/2017 – Changed details for The Sustainable Studio. 15/08/2017 – Changed details for Pembroke House. 09/02/2018 – Added The Maltings. 04/05/2018 – Added Morgan Studios. 17/05/2018 – Added One Fox Lane. 03/09/2018 – Added Cardiff Eagle Lab and changed some of the pin colours on the map in line with coworking spaces’ brand changes (noticeably indycube). 14/10/2018 – Moved the whole list from the CR 25 site to SEOno. 27/10/2018 – Added indycube Abertillery. Removed indycube Tredegar. Removed the details for One Fox Lane – as it’s been taken over by indycube – and changed its pin to purpley-red on the Google Map. 07/11/2018 – Added Connect Swansea Bay and Village Hotel (BCLUB). Also resized some of the spaces’ images to improve page download speed. 17/11/2018 – Removed Meanwhile Creative as it turns out they’re not actually a coworking space (uh-oh)! 16/12/2018 – Added the Arcade Vaults. 17/02/2019 – Removed Connect Swansea Bay as it’s since closed. 10/04/2019 – Added the Business Springboard Centre.